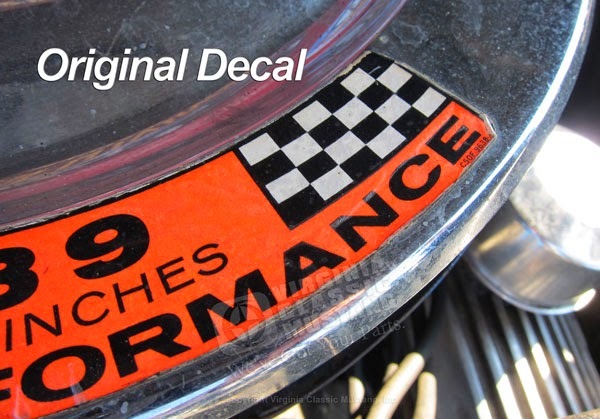 Virginia Classic Mustang Blog: 289 HiPo Air Cleaner Decal - Brand New, Show Quality Reproduction! 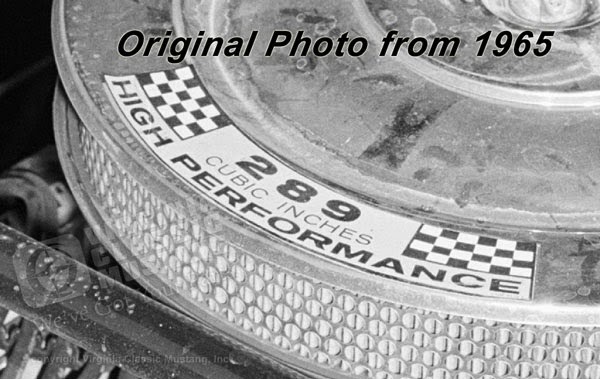 289 HiPo Air Cleaner Decal - Brand New, Show Quality Reproduction! We have been working on this project for quite a while. We are super excited to announce that these decals are now in stock and ready to ship! They look fantastic! Can be mailed economically by first class mailing in the US. (We can also mail internationally). Click here or on one of the pictures to order or just give us a call!